Five years after the end of Sri Lanka’s decades-long civil war, there are few signs of a government-led reconciliation, MP Rajiva Wjesinha tells DW, arguing that mistrust and suspicion have only grown stronger. Shortly after the Sri Lankan army defeated the separatist “Liberation Tigers of Tamil Eelam” in May 2009, President Mahinda Rajapaksa declared an end to the country’s bloody civil war which had lasted more than 25 years during that period claimed the lives of at least 100,000 people. Five years after the end of the separatist conflict, Sri Lanka is still struggling with reconciliation between the majority Sinhala community and the Tamil minority. International human rights organizations hold the army as well as the LTTE-separatists responsible for crimes committed during the civil war. UN High commissioner Navi Pillay has repeatedly criticized the government in Colombo for having failed to establish a “credible national process to address abuses.” As a result the UN Human Rights Council recently decided to launch an independent international investigation of human rights violations during the war. Sri Lanka was able to complete demining in human settlement areas in the shortest period of time on record, said Ministry of Defence Spokesman and MOD Media Centre Director Brigadier Ruwan Wanigasuriya . He made these observations at a press conference held at the MOD Media Centre, Kollupitiya, yesterday. “Sri Lanka heads the list of countries which had completed demining in areas earmarked for human settlement, and farming lands, within the shortest period of time under international standards in the aftermath of the elimination of terrorism,” Brigadier Wanigasuriya said. He added that 1.1 million landmines and explosives that were strewn by the LTTE terrorists have been recovered by the Security Forces and other groups that were engaged in the demining program. Countries such as Vietnam and Cambodia have not yet been completely demined after several decades since the end of conflict in those countries. Brigadier Wanigasooriya said Sri Lanka was able to demine areas for human settlement and their farming lands a hundred percent and there is only 82 square kilometers to be demined out of the 2,064 square kilometres that was strewn with landmines, claymores, high explosives etc by the LTTE before terrorism was eliminated. He added the area that has to be demined is in the thick jungles and the demining program is in progress. Brigadier Wanigasuriya stated that the demining is conducted not as per Sri Lankan standards but under UN Demining Program standards. He added that when demining was completed, such areas were inspected and guaranteed by UNDP officials before lands were handed over to the civilians. He also added that of the demined lands, more than 70 percent was demined by the Security Forces. The rest was deminded by local and foreign NGOs. He further said that Sri Lanka could humbly be proud of its success in the demining program within a short period of time as none of the countries have been able to achieve such a degree of success in demining after a conflict was ended. He added that mines in countries such as Vietnam, Cambodia etc have not yet been completely removed, though years after conflict. Reporting of the civil war in Sri Lanka has tended to distort various aspects of the violence that ensued, particularly in terms of the number of civilian casualties and the causes of their deaths. Although Western media have been critical of both sides in the conflict between the Sinhala-dominated government of Sri Lanka and the Liberation Tigers of Tamil Eelam (LTTE), they tend to see Tamils (and thus the LTTE) as underdogs. Sri Lankan Tamils have been emigrating since the fifties. There is a substantial body of intelligent and prosperous Tamils abroad alienated from Sri Lankan politics and governments. 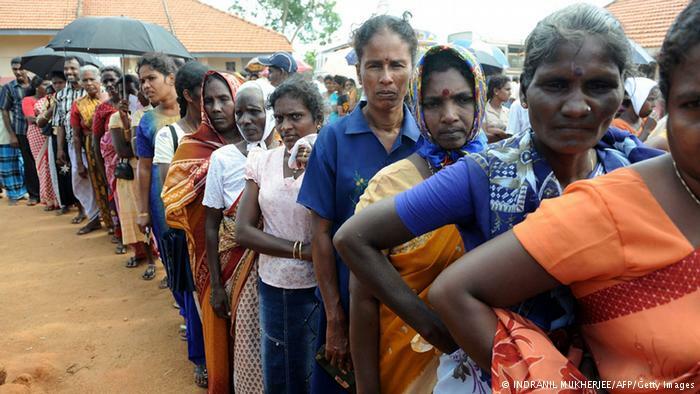 The patriotism of expatriate Tamils increased when the government defeated the LTTE in 2009. They are receptive to the propaganda of Tiger activists. Tamil nationalists or sympathizers now hold key positions in the west. Sri Lankan government PR is ineffective in comparison with the coordinated campaign of the Tamil diaspora using such outlets as the BBC, ABC, Sky, Channel Four, New York Times, Der Spiegel and their like. The result has been distortion. The received wisdom is that at the end of war there was “merciless shelling” and “extermination” and that subsequently some 300,000 civilians were “interned” in “concentration camps”. Both claims are exaggerations, the latter being quite gross. Ban Ki-Moon’s Panel of Experts (Darusman Report) said that “a number of credible sources have estimated that there “could have been as many as 40,000 civilian deaths”. Despite the questionable methodology pursued by this panel, (2) its guesswork became a definite figure of at least 40,000 civilian dead; and, in the indelible words of a British parliamentarian named Lee Scott, 40,000 “slaughtered”. When I was young I used to think the story a silly one, but I have since understood its implications for the way we should look at the world. It seems to me now the epitome of what I would describe as the Eastern vision of the individual, society and the world, as opposed to the dichotomies the West believes in, and therefore often creates. In what I would posit as an ideal concept of our relations with the world, we should see ourselves as existing at the centre of several concentric circles, to all of which we belong. While we share aspects of identity with others belonging to those circles, ultimately we need also to be aware of the unique nature of our own individuality. Estimating the number of civilian deaths in the final stages of the war in Sri Lanka is proving problematic. The generation-long war in Sri Lanka came to an end in May 2009, with the military defeat of the the Liberation Tigers of Tamil Eelam (LTTE) by government forces. Tamil diaspora groups claimed there had been genocide, but the dominant narrative was of a bloody but essentially fair fight, as captured in the congratulatory resolution passed in the UN Human Rights Council barely a week later. However, this near-consensus has gradually been eroded, and pressure is now mounting for an international investigation. The Daily Mirror reported last week that between November 30 and December 10, the government would carry out a census of those who were killed or who had disappeared, during the war years – July 1983 to May 2009. The subject dealt elsewhere in writings as the numbers game. For those affected or accused it is no game. The impact is quite serious. The LLRC recommended were ,’ Conduct a professionally designed household survey covering all affected families in all parts of the island to ascertain first hand the scale and circumstances of death and injury to civilians, as well as damage to property during the period of the conflict. The progress has been – Using data on ‘Population and Housing Census 2012′ covering the entire country including North and East Provinces for the first time since 1981, Department of Census and Statistics is taking following initial steps to conduct a survey on affected families. Steering committee comprising senior officers of relevant Ministries and Agencies meets fortnightly to discuss activities related to the census on death/injuries to persons and property damages due to conflict. The methodology suitable to conduct the census was devised and data collection forms were designed. 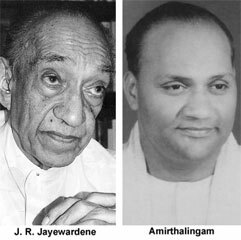 Both were pre-tested in selected GN divisions in Vavuniya, Polonnaruwa and Mullativu districts in order to cover different conflict situations since 1982. The outcome of the pre-test was evaluated by DCS working group. Final draft to be submitted. Department of Census and Statistics is planning to conduct an Economic Survey covering entire country which will generate most of data on the affected families. The progress has been-During 2011, 37 and 761 deaths were registered in the Northern and Eastern Provinces respectively. In 2012, these numbers were 38 and 801. In addition, 29 mobile services were held during 2011 in various DSDs in North and East to issue death certificates. Services were also held in Mullaitivu District Secretariat in September 2012. I now want to make what seems to me a crucially important clarification of what Santayana probably, or almost certainly, had in mind in making his dictum. An erudite philosopher, Santayana could hardly have been unaware of the fact that a people often remembers its past selectively and with distortions to suit its present and future interests. I suppose that is what Henry Ford had in mind in declaring, “History is bunk”. Some would argue that all history is purposive, not an unbiased record of what really happened but future-oriented interpretations meant to serve the interests of a people. However, it is incontrovertible that some things did actually happen in the past, and commonsense tells us that our interpretations can be right or wrong to varying degrees. So, what is important is not just to remember the past, but to try to remember it as it actually was, not as we would like it to have been. The government, under the direction of President Mahinda Rajapaksa has allocated Rs. 525 million to provide livelihood project loans to the rehabilitated ex-LTTE cadres and civilians affected by terrorism during the past three decades. Around 4,700 loan applications have already been received from rehabilitated LTTE cadres and arrangements are in place to provide loans for them to start livelihood development projects as soon as the officials completed processing them, Rehabilitation Commissioner General Jagath Wijethilake said. Over 11,600 ex-cadres have already benefited from the loans provided during the first and second stages which covered nearly one-third of the ex-combatants who had undergone rehabilitation and it is around 40 percent out of the total number of rehabilitated LTTE cadres.